We are only a week away from football being back! The Iron start their League One campaign on Saturday 8th August with a difficult trip to League Two Champions Burton Albion. 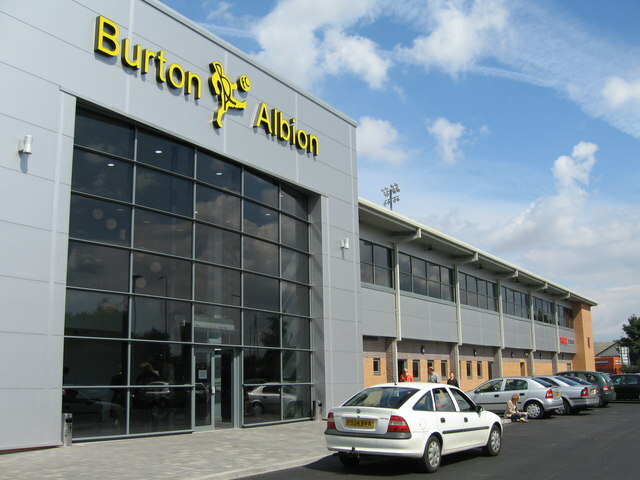 Burton had flirted with promotion to League One for a number of years, but last season they finally achieved their goal under the stewardship of former Chelsea star Jimmy Floyd Hasselbaink. Without looking at our opposition, we must first concentrate on ourselves – and let’s face it, it’s been a pretty great pre season so far. 1-1 draws with Middlesbrough and Bolton from the Championship, and a 4-2 victory over Sheffield Wednesday from the same division, show we are capable of holding our own with teams above our level. Gainsborough were the first team we faced in pre season, and a professional performance saw us win 3-0 that day, before we played Hartlepool upon return from the teams training over in Marbella – and that match finished 4-0 to ourselves. We are in great form going into the season, and that has to play a big part when we kick the first ball of the 2015/16 season. United are not the bookies favourites going into the game. Burton are 6/4 for the win, whilst we are 13/8. The draw is 9/4. Also a week away is the start of the Premier League season, and although I’m not actually a fully-fledged fan of any team up there (I’d pick the Hammers if I was though), I find myself extremely excited for the start of that too. Chelsea are the bookies pre season favourites to win the title for the second year running, but I can see it being a much tighter league this time around. Manchester United have bought well, and could certainly be much more of a force than they have been in the last couple of years. Memphis Depay, Bastian Schweinsteiger, Morgan Schneiderlin and Matteo Darmian are the big name arrivals so far – and they could certainly help United in their first year back in the Champions League since Fergie left. Arsenal have made just the one addition so far, but it’s been a great one. Petr Cech joined from Chelsea, and he’s won literally just about everything with them – his experience and ability will certainly be something to benefit the Gunners, but they need more through the door to persuade punters to back them for the title. Manchester City have spent big, but brought in some real quality. Raheem Sterling is still young and is only going to get better, and although £50 million was a tad more than I’d of priced Sterling at, he is sure to be a big player for them over the coming years. Can they win the league? Definitely, but for me the key is whether they can keep Sergio Aguero fit throughout the season.